The TurboPower™ 15+ wall charger is the updated version of the original TurboPower™ 15. With QualComm Quick Charge (QC) 3.0 capability and backwards compatibility with QC 2.0 charging protocol, this charger is even faster than its predecessor and delivers hours of power in just minutes of charging. * It includes a micro-USB charging cable. You can use the charger on compatible smartphones, tablets, digital cameras and more. • Charge fast. Over and over. Turbo charge your smartphones and tablets without decreasing your battery’s lifespan thanks to the optimized battery charging algorithm and Qualcomm QuickCharge 3.0 technology. • One for all. Charge any single USB or micro USB enabled device. 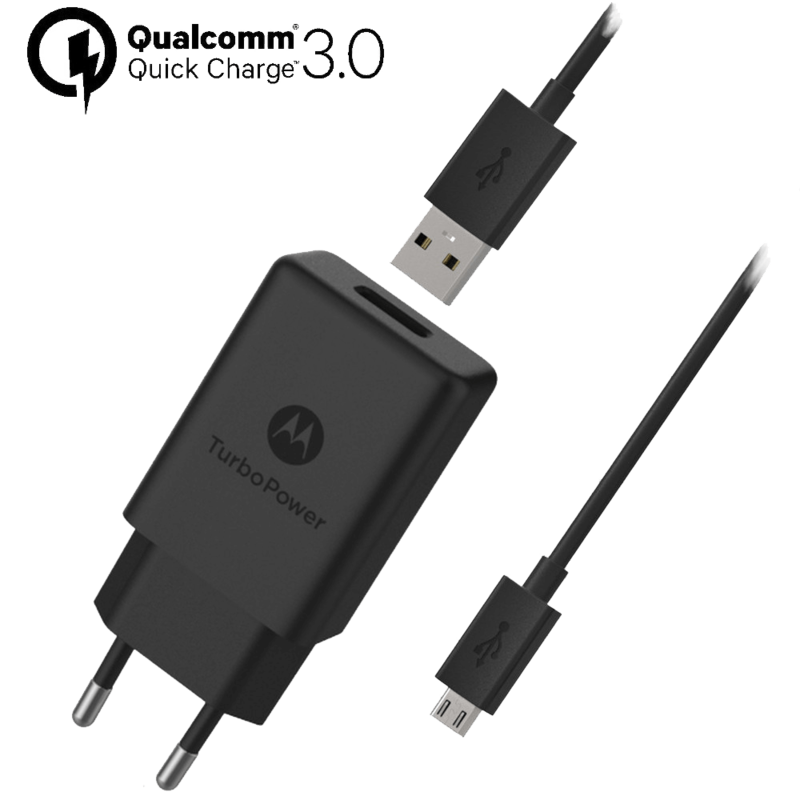 TurboPower™ supports a wide range of profiles that can take advantage of blazing-fast charging speeds. • Charge safely. Rest easy. Get built-in protection from power surges, extreme heat, and other dangers, and know your smartphone or tablet will remain safe while charging. • Ideal travel companion. The sleek and compact design makes this charger a perfect portable charging companion whenever you are on the go. • High Energy Efficiency. Part number SPN5971A (EAN: 6955226407017) with Level VI high energy efficiency compliance. • Includes a 1-meter detachable micro-USB charging cable. You can use it with compatible smartphones, tablets, digital cameras and more.